Available for iOS and Apple TV. 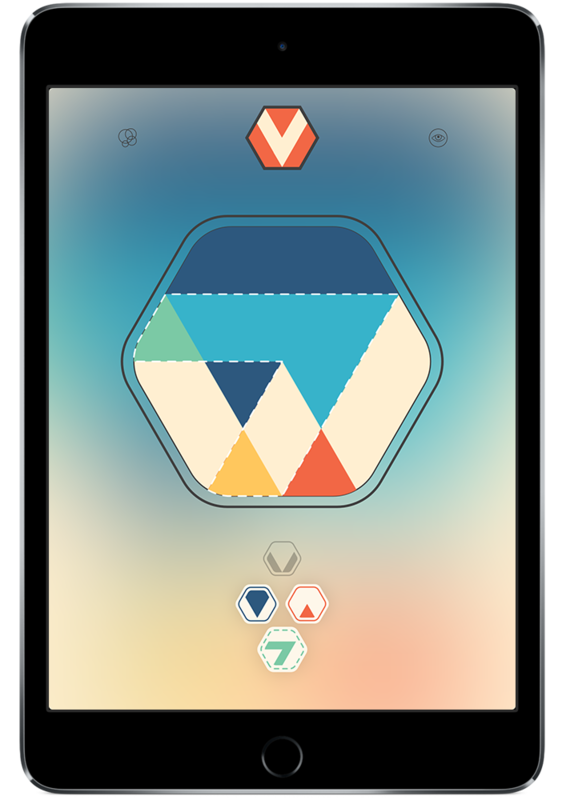 A clean and minimal yet visually stunning design that really comes to live while playing. Choose the right pieces and turn them in the right position. Change the colors of the shapes, overlapping colors will blend. 6 challenging levels with over 250 beautiful handmade puzzles. Features an original ambient soundtrack to enhance the experience. Colorcube is worldwide available in 33 languages. Includes alternative color schemes to address most common types of color deficiency. Development and Design by Next Apps. In cooperation with award winning game concept designer Dieter Stein.